Supplementary material reads: "Chernus. Harbor. Captions. One neg. 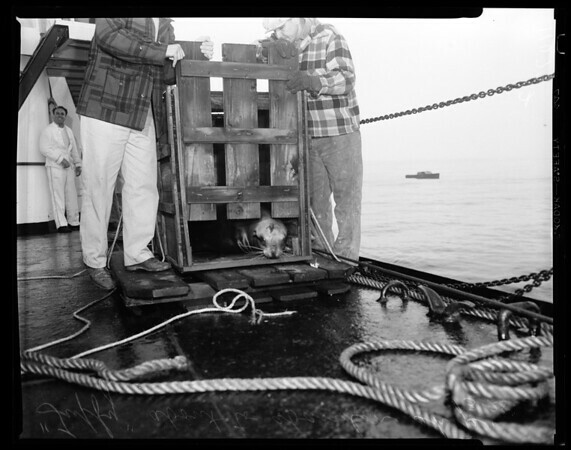 grab shot shows Tuffy, the sea lion diving off deck of Hawaiian Rancher into water five miles off Los Angeles Harbor. Three negs. show views of Tuffy, the socially mal-adjusted sea lion, who was returned to Los Angeles coast line today after spending three years in Honolulu Zoo".